The management of the institution has been so abysmal in the last few years that tragedies like these have been a daily occurrence. 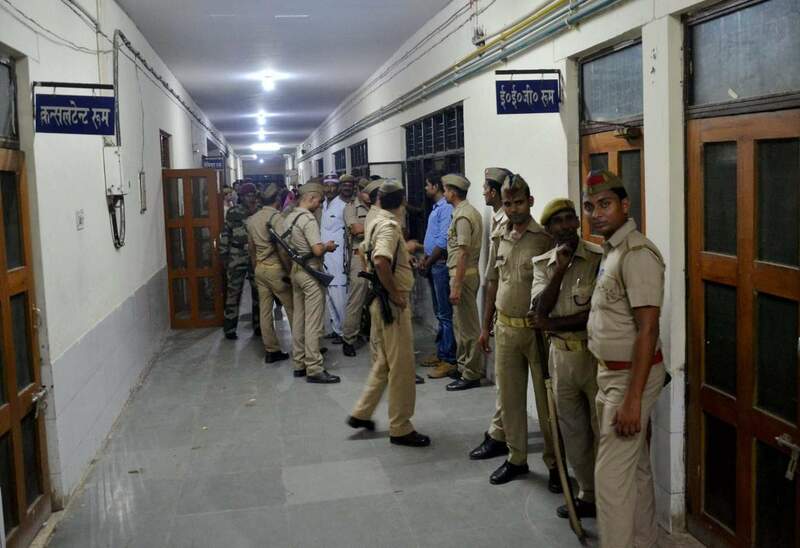 The deaths of 23 children in 24 hours, possibly due to a lack of oxygen at BRD Medical College in Uttar Pradesh chief minister Yogi Adityanath’s parliamentary constituency of Gorakhpur, has jolted the country suddenly. But the truth is that the management of the institution has been so abysmal in the last few years that tragedies like these have been a daily occurrence. It is just that when the number of daily deaths shot up, it caused an immediate uproar in the country. 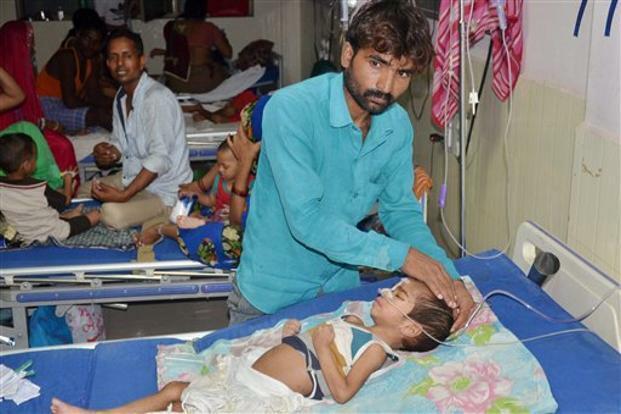 Until now, the very real news that every day two or three children were dying of encephalitis and five newborns were dying of other complications in a medical college located in Adityanath’s constituency, did not find any takers in the national media. While briefing journalists on the night of August 11, 2017, district magistrate, Gorakhpur, Rajeev Rautela remarked that on an average, 20 deaths a day in a medical college is ‘normal’. In the last four decades, the people of Purvanchal seem to have been conditioned to accept a daily hospital death toll of 20 as normal; else a staggering count of 10,000 encephalitis deaths since 1978 would certainly have created a furore. Exactly 12 years ago, when the same BRD Medical College recorded over 1500 encephalitis deaths, 90% of them children, there was some outrage. The UPA was in power at the Centre then, and the Opposition adopted an aggressive stance. Ministers toured the area several times. Vaccinations were administered to children for the prevention and control of Japanese encephalitis, whereupon the number of cases went down. But 12 years on, the fundamental steps that are urgently required, have still not been taken. During an election rally in Manbela, barely half a kilometre away from BRD Medical College, Modi had communicated his chest size to the gathering and in the same breath, expressed great anguish at the deaths of children due to encephalitis, asserting that everything would become all right once his government was formed. Modi did become the prime minister and Yogi Adityanath, who claimed to have initiated a campaign to combat encephalitis, became the chief minister of the state. The question is, has anything changed? Nothing whatsoever. The situation remains the same; in fact it has worsened. Grand statements were made but no action was taken on ordinary, but crucial, day-to-day concerns. On February 14, 2016, the principal of BRD College had written to the director general, Medical and Health Services, urgently seeking Rs 37.99 crore for the treatment of encephalitis cases, said sources. The director general had forwarded the letter to the director, National Health Mission (NHM), requesting that this budget requirement be added to NHM’s yearly action plan for Uttar Pradesh. The Centre and state governments – both of the BJP at present – have not been able to put together this amount of Rs 37.99 crore required to streamline arrangements for the regular treatment of encephalitis patients and for the medical care of newborns. A hospital treating over 60% of the encephalitis cases in the country requires a high yearly budget to take care of the cost of treatment, medicines, oxygen and human resources. That this amount should be made available every financial year so that the institution is able to function smoothly is equally obvious. And yet it is baffling that there is no regular provision in place to look after the requirements of the encephalitis and neonatal wards. BRD Medical College receives 2500 to 3000 encephalitis patients every year. Adequate finances are needed for the investigation of cases, treatment, medicines, and oxygen. Apart from the local population, people from Basti, Azamgarh, Bihar and even Nepal come to the hospital. In the heavy months of August, September and October, the average number of patients the hospital sees per month can range between 400 to 700. On August 28, 2016, when the Union minister for health, Anupriya Patel, visited BRD Medical College, many patients complained to her that there was no alternative for them but to buy medicines from outside. The institution did not have the budget to stock up on medicines. Chief minister Yogi Adityanath visited the hospital twice in a month. He was accompanied by the chief secretary, medical education, as well as chief secretary, health services. A meeting was held and grand claims were made about putting an end to the daily tragedies of children’s deaths. The medical college was so hamstrung by the lack of finances that three to four newborns were being kept on one warmer. Moreover, families were asked to sign consent forms saying that in the event of the death of their child due to infections caused due to being placed with other newborns in one warmer, the institution would not be held responsible. The pediatric ICU has 50 beds for an average of 300 children admitted every month. In the light of these facts, the medical college had also sent a proposal for the establishment of a larger ward, into a level three ICU to be managed by a staff of 149 staff, requiring a budget of Rs 10 crore, to the administration. The Adityanath government has still not approved that proposal. Sources said that the medical college needs a yearly budget of Rs 7.5 crore to cover the expenses of medicines, repair of equipment as well as laboratory costs. The yearly budget for the supply of oxygen was lumped together with the budget for medicines. That is why the hospital is faced with a constant crisis of shortage of oxygen and medicines. It is the cause of the current crisis as well. As far back as November 2016, payments were not being released to the company supplying liquid oxygen to the medical college. By March 2017, the amount owed to the company had touched Rs 72 lakh. The company stopped supplying oxygen to the institution. According to sources, for the past five years the medical college has also been seeking a yearly budget of Rs 20 crore to meet the expenses of the 400 medical staff engaged in looking after the encephalitis cases but to no avail. While a physical, medicine and rehabilitation department was created to look after all the needs of children disabled by encephalitis, its staff of 11 has not been paid for 27 months. Three doctors have left the institution for this very reason. The Wire had reported that the staff dealing with encephalitis cases had not been paid for four months. As for the employees of the PMR department, they had not been paid for 27 months. Due to the pressure created by the report, the encephalitis ward staff received their pending salaries. The 27-month-long wait of the PMR department staff, though, has still not ended. 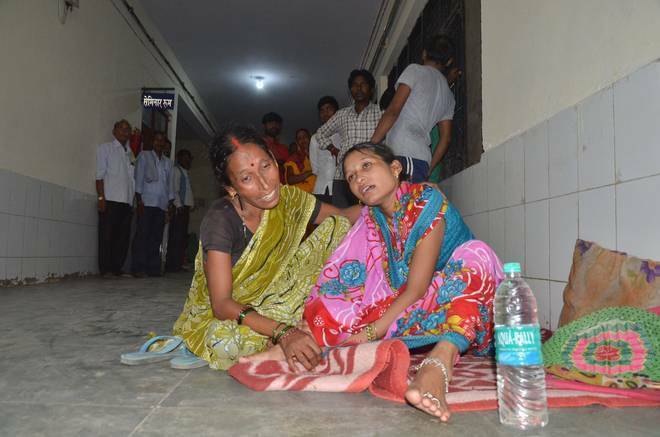 A local web portal, Gorakhpur Newsline, reported the crisis, that is, the lack of oxygen in the medical college, on the evening of August 10 itself. Despite that, there was no move on the part of the administration to make alternative arrangements. The patients paid the ultimate price. This article was originally published in The Wire Hindi and has been translated by Chitra Padmanabhan.